This business owner was interested in a building to keep his excavation equipment under roof. 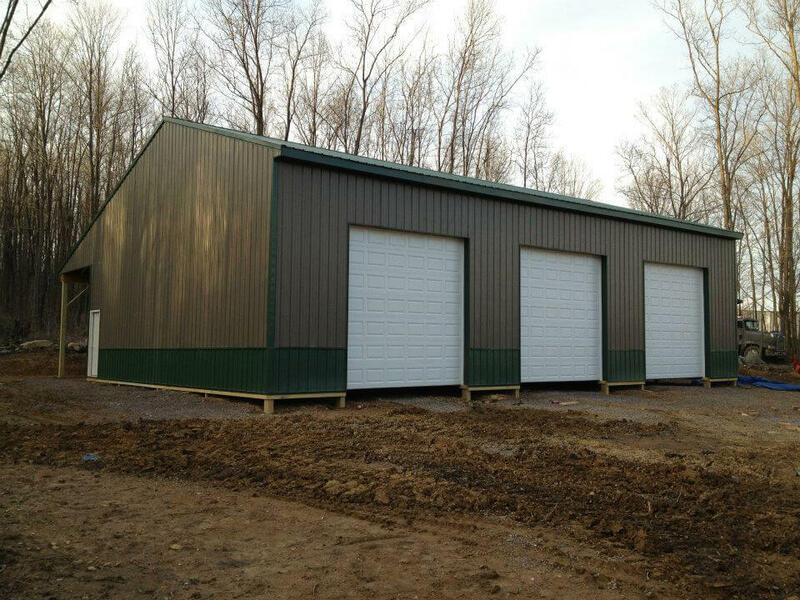 The sixteen foot eve walls with three 12x12 garage doors allow for adequate head room and easy access. The lean-to off the back wall allows for exterior dry storage of smaller equipment and tools. 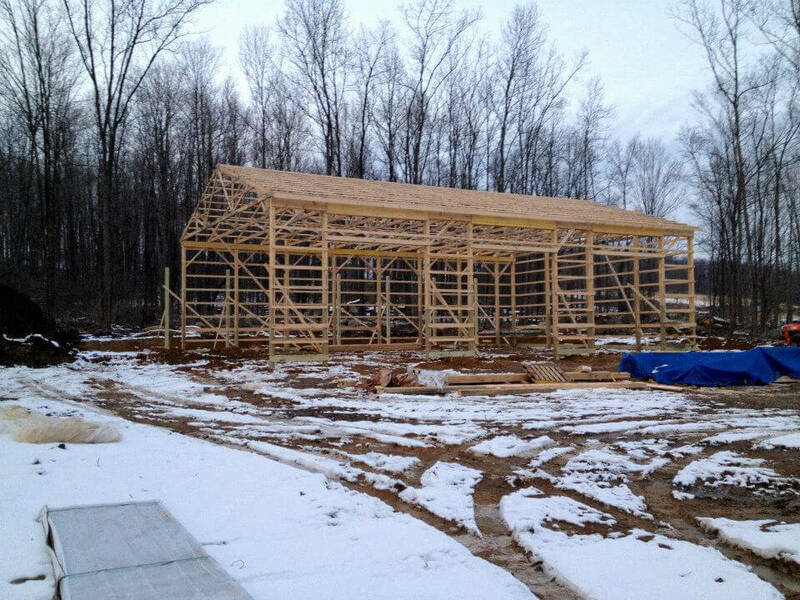 Tuff Posts (3-Ply 2x8) were used for the main support of this larger building. The color choice and wainscoting make for a very nice finished product and another very pleased customer.